The fast changing geopolitical realities in global politics, underpinned by the resurgence of China and Russia and the waning hegemony of the US have paved the way for a new form of alliance structure in the region. Russia and Pakistan, once Cold War era antagonists, seem to have realised the need to benefit from this opportunity, especially when both the states see eye to eye on various regional issues- like the protracted Afghanistan conflict, threat of Islamic State (IS), and economic integration, to name some major converging points. 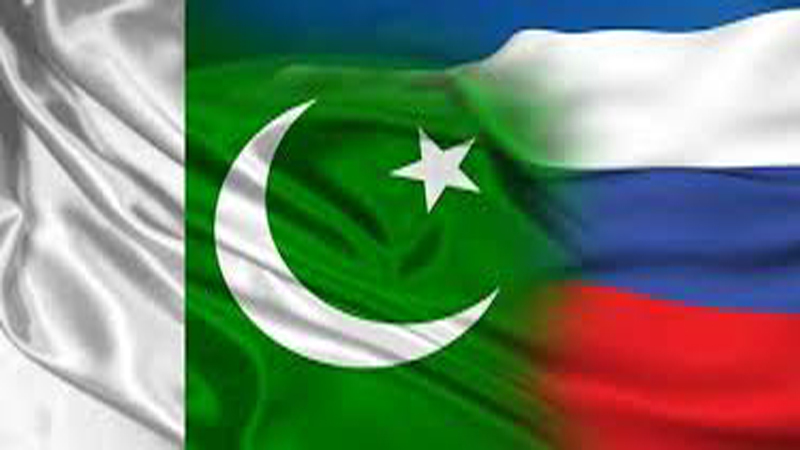 The thaw in Pakistan-Russia relations comes on the heels of deterioration in Pakistan-US ties, concerning the issue of Afghanistan and growing estrangement between Russia and India. India is turning its back to Russia in the wake of its much touted strategic partnership with the US and prioritising the US, Israel and western countries in procuring high-tech defence products leaves Russia with a sense of betrayal at a time when it direly needs Asian markets, in the wake of western sanctions and low oil prices. Defence and military cooperation form an important domain where Pakistan and Russia have achieved great strides after the later lifted the self-imposed arms embargo on Pakistan in 2014, paving the way for a military cooperation agreement which included “exchanging information on politico-military issues, strengthening collaboration in defence and counter-terrorism sectors, sharing similar views on developments in Afghanistan and doing business with each other”. The joint anti-terrorism military exercise named DRUZBHA (Friendship) 2017 was yet another step in growing military-to-military cooperation, indicating a steady growth in bilateral relations between the two countries. It goes without saying that the bilateral relationship is not predominantly driven by short term and parochial interests, as some may tend to think. The fact of the matter is that broader and shared vision for peace, stability and economic prosperity on the basis of inclusive and multilateral approach is providing the impetus for the strengthening of ties. Pakistan’s recalibration of foreign and security policy: giving economic development a weight equal to geopolitics and Russian pivot to Asia policy are a testament to this. There are even talks of Russia’s keen interests to participate in building energy and transportation corridors from Central Asia to Pakistan through Afghanistan’s Wakhan corridor — thereby linking it with the China Pakistan Economic Corridor (CPEC). Reported negotiations on energy deals worth $10 billion speak volumes of overlapping economic interests. Reportedly, first proposed by Russian diplomat Igor Morgulov, Moscow and Beijing have agreed to ‘pair’ their One Belt, One Road project and the Eurasian Economic Union. For Pakistan, such an eventuality would open new avenues of economic opportunities and help diversify its partnerships in the region; needless to say when India painstakingly pursues a policy of isolation against Pakistan. However, both the states, including China,believe that realization of these objectives depend to a large extent on regional peace and stability,particularly in Afghanistan and CARs and that in turn depends on the US role. There is no denying the fact that both have grown weary of perceived US inaction against IS or tacit role in providing it a sanctuary in Afghanistan. Thus, both consider a long term US military presence in Afghanistan detrimental for peace and their strategic interests. Of particular concern to Russia is the growing footprint of Islamic State under the nose of US in northern Afghanistan. This assessment drives Russia so far as to mull over providing the Afghan Taliban with military assistance to counter the Islamic State, which has of late mounted its deadliest attacks in the country. Ultimately, both Pakistan and Russia want a politically negotiated settlement to the Afghan conflict with a broad-based, sustainable government, including the Afghan Taliban. In conclusion, the current trend of frequent high level engagement between Pakistan and Russia is promising. However,the two countries need to expedite efforts for translating the shared sentiments and vision into pragmatic policy objectives. In this regard, the decision to establish Anti-Terror Military Cooperation Commission is a step in the right direction. Most importantly, for the burgeoning relation to sustain any geopolitical shocks emanating from the actions and policies of Indo-US nexus, the two countries should expand the sphere of engagements in all spheres — including defence, economy, energy, education and people to people contact. In nutshell, it’s for Pakistan and Russia to seize this golden opportunity and cement their ties lest this opportunity fade in the fog of geopolitical shifts. Published in Daily Times, March 28th 2018.